Sliding gate wheel kits in 4 sizes , 40mm, 60mm, 80mm and 100mm. All kits include 2 pvc guides which are also available separately. 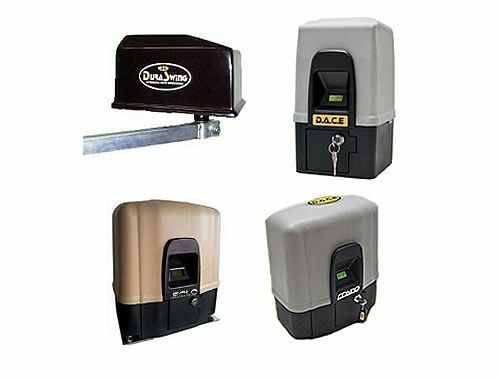 We stock the Duraslide range of gate motors. Kits include the motor, 4 metres of nylon track, 2 remote controls, 1 receiver, back up battery and a pair of safety beams. Door closers, chimes, phones, knockers, videophones and padlocks.